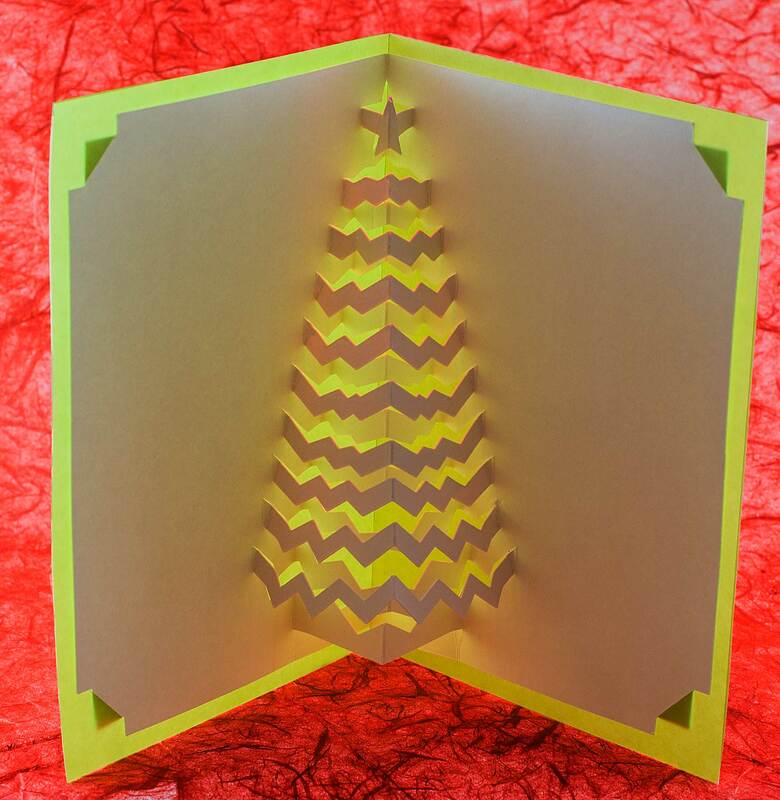 An elegant and stylish holiday popup card in the origamic architecture tradition from designer Andrew Crawford! This quintessential symbol of the Winter holidays is sure to delight and enchant. 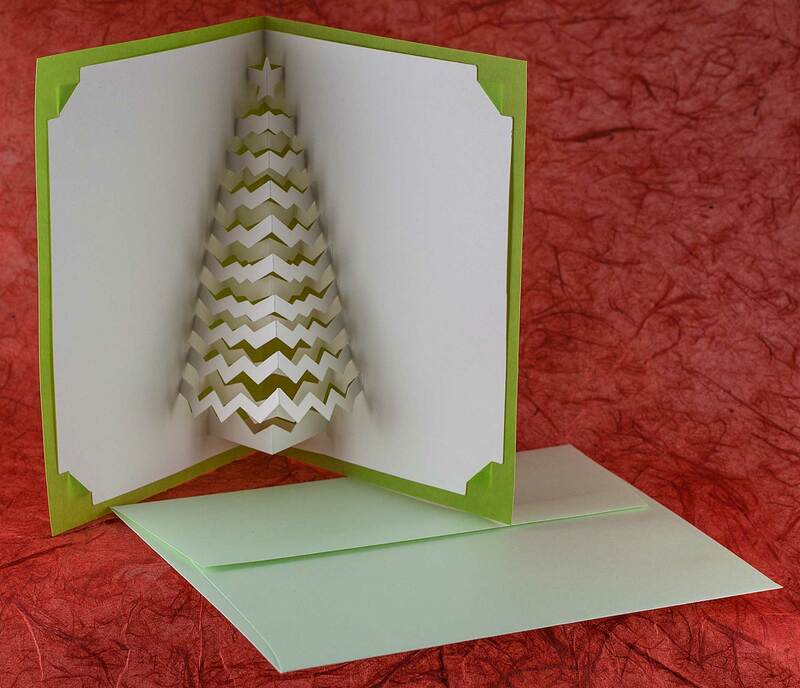 The white Christmas Tree popup cards are mounted on a translucent pearlescent green backing card. The card interior and the backing card both feature plenty of space for a personal message and signature. 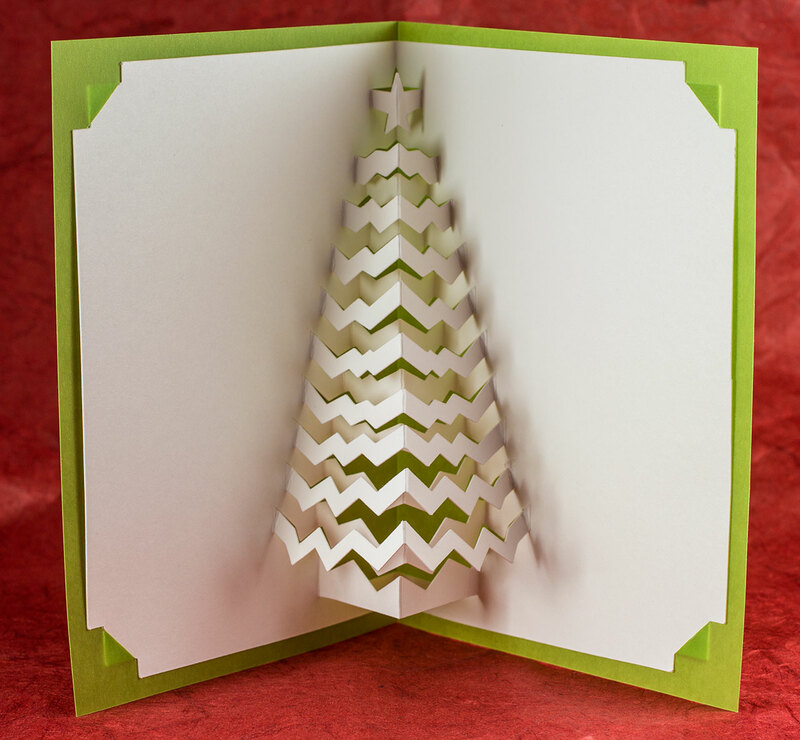 Folded flat, these Christmas Tree cards measure 18cm by 13cm (about 7.1 inches by 5.12 inches – fits A-7 envelope). Includes a pearlescent pale green A-7 envelope that complements the green of the backing card. Fits in our Small Rigid Mailers. Made by hand in the United States of America.